Small business health insurance can be a tough field to navigate. While businesses with 50 or fewer employees are not legally required to offer health insurance, they are still required to provide employees with healthcare information. However, even in situations where health insurance is not required by law, it can be highly advantageous to offer these benefits to your staff. Health insurance is an effective way to recruit and retain top talent. If you do make the decision to offer healthcare to your employees, know that there are many small business health insurance requirements, including a series of essential services. Ambulatory care refers to medical services provided on an outpatient basis. They often include health care services used to treat acute or chronic illnesses and injuries outside of a hospital setting. Ambulatory patient services may be administered in settings such as ambulatory surgical centers, dialysis centers, or in the offices of health professionals. Emergency services include the evaluation of emergency medical conditions, such as sudden illnesses or injuries. They may also include any necessary treatments that keep the condition from worsening. Covered persons do not need prior approval to seek emergency health care. Hospitalization is any care in a hospital setting that requires a person to be admitted as an inpatient. Often times, hospitalization requires an overnight stay for observation. While hospitalized, the patient may undergo a variety of procedures for diagnostic and treatment purposes. All major medical health insurance plans are required to cover pregnancy, maternity, and newborn care. In addition to delivery and other inpatient hospital services, the insurance company should also cover prenatal services, treatment for any medical conditions that could put the pregnancy at risk, and pediatric care after baby is born. Small business health insurance plans generally cover mental health and substance use disorder services, as well as behavioral health treatments like counseling and psychotherapy. Health plans will typically pay for the cost of certain prescription medications. While covered persons may have the option to purchase other medications, any medications found on the plan’s approved list will be less expensive. Rehabilitation and habilitative services and devices are designed to help patients learn, improve, or maintain skills and functioning needed for daily living. This may include services such as physical or occupational therapy for patients with impaired functioning. Laboratory services often include diagnostic tests like blood tests, tests on tissue specimens, urinalysis, and certain screening tests. The results of these lab tests are used to aid in the diagnosis, treatment, and prevention of a disease, illness, or injury. 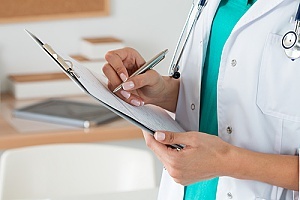 Most health care plans cover preventive services, such as screening tests and vaccinations. Wellness visits are also covered in an attempt to maintain an up-to-date personal and family health history and to prevent future medical problems. Preventive and wellness services also often include the management of chronic diseases. Pediatric services, including oral and vision care, are typically covered by most health plans. However, adult dental and vision coverage are not considered essential health benefits. There are certain health care coverage requirements that employees must follow, such as the 90-day health care coverage waiting period. This waiting period pertains to the period of time that must pass before health care coverage for an eligible employee or dependent becomes effective. This health care coverage waiting period cannot exceed 90 days. All calendar days are counted towards the 90 day maximum. In addition, the waiting period can be shorter than 90 days. Employers are not required to offer coverage to all classes of employees. 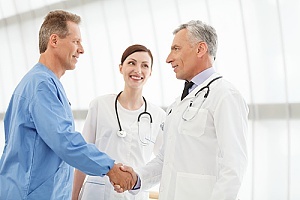 Health insurance remains a critical component of any comprehensive employee benefits package. When searching for jobs, most employees seek positions that offer attractive benefits such as health care. By offering health insurance from the get-go, you can gain a competitive edge over other small businesses who may not offer coverage. The allure of health insurance may also sway employees who may otherwise choose to work with larger companies. This allows your business to retain talented individuals who can benefit your business in a number of ways. By investing in your employees, you can also keep them around longer. This results in a reduction in employee turnover which saves you money in the long-term. Offering health insurance benefits to your employees can also result in certain tax advantages for employers. The Small Business Health Care Tax Credit is one such perk enacted in 2010 by federal legislation. The credit can cover up to 50 percent of an employer’s health care premiums. However, there are certain requirements that an employer must meet to be eligible for this credit. To qualify, a business must have at least 25 full-time employees, 50 half-time employees, or an equivalent. In addition, an employer must pay at least half of his employees’ health coverage and pay average annual wages of less than $50,000. Before deciding on a health care plan for your employees, it is important for employers to fully understand small business health insurance requirements. Depending on the number of employees you have and other contributing factors, you may be required to offer health insurance to some or all of your staff. If you fail to acquire health care or do not meet certain state and federal rules and requirements, you may leave yourself open to possible tax penalties. For more information about small business health insurance requirements or to acquire health insurance for your employees, contact a benefits consultant at BBG Broker today.